When kids are little, parents constantly have eyes and ears on them. The deft oversight keeps them out of trouble. As they grow, kids can't always be in a parent's sight. Kids have school, friends, sports, activities and life in general where parents aren't always around. How can they keep their kids safe and stay connected to them? Family Orbit offers that security. Family Orbit App is an iOS app that is similar to a private social network for families. The app can be used to located your family, monitor your kids and share information with family members. Whether the kids are at a friends at midnight or your dad is delayed at the airport, the Family Orbit App can offer the security your family wants. Once a child gets a cellphone, their world gets larger. The kids have more freedom to be out with their friends, communicate with classmates and share information. While kids may not fully grasp the ramifications of their actions, parents walk a fine line of giving a child freedom and keeping the safe. The Family Orbit App can offer the security of knowledge that parents want. The app can track everyone's location on a real time map. When you child says he is at Starbucks and he is really at John's house, the parents will know. Within the app, parents create a family place. 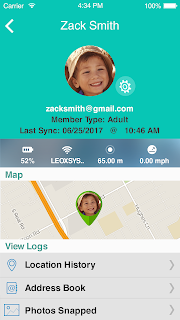 For example, a parent will set location for home, school or maybe even gym (sports location). These places would be locations where kids visit on a daily basis. The app will automatically notify the parent when a child arrives or leaves a family place. The notification service provides an additional level of security and peace of mind for the parents. Since our world is ever changing, emergencies, both big and small, can occur. From the weather flight delay to a larger emergency situation, families want to know that everyone is safe and sound. The Family Orbit allows a variety of ways for family members to communicate. From checking in to sending a quick, free message, the app is a perfect solution in the time of need. While location monitoring is important, parents know that kids sometimes might need guidance on the information that they share with others. From a poor choice of words to a questionable photo, kids may not understand the ramifications of their actions. 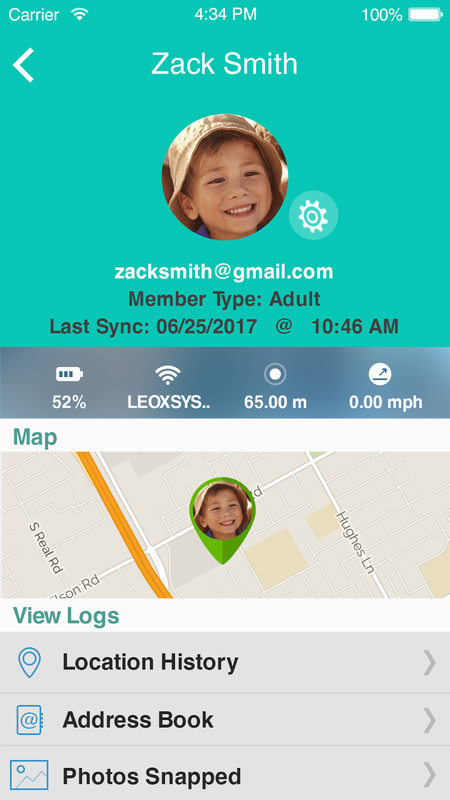 The Family Orbit App child's account can be monitor photos, contacts and more. The parents feel more secure that they know that the kids are making good choices. Family Orbit App is available on iTunes and Android Google Play. The cost is free for the original app. A premium subscription, with additional features, is $4.99 a month. Keep your family protected within your orbit. Install Family Orbit App on your phone today. Disclosure: The opinions expressed in this post are the writers. The writer was compensated for her time and opinions.